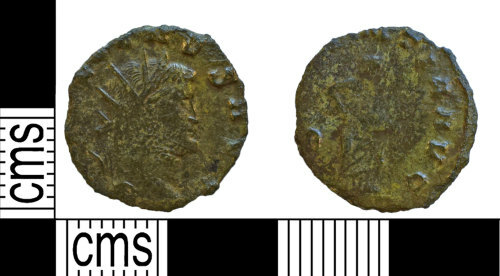 An incomplete copper alloy Radiate of Gallienus, joint reign with Salonina, dating to the period AD 253-268. Reece Period 12. Reverse type ABVNDANTIA AVG, depicting Abundantia standing right emptying cornucopiae held in both hands. Rome mint. The coin is missing small portions of its outer flan.